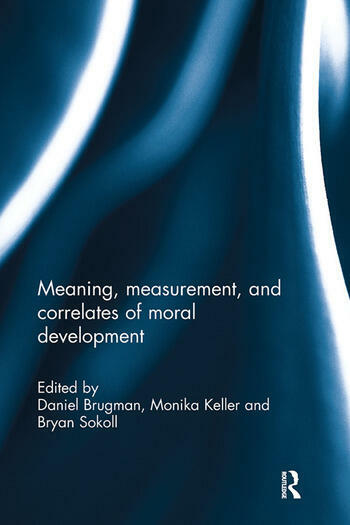 Morality has once again become an important focus of research in different scientific disciplines, from biology, neuroscience and evolutionary psychology, to social psychology, economics, and political philosophy. One of the reasons for this renewed interest stems from the tragedies that human beings, individually or in groups, inflict upon the lives of one another and the world at large, tragedies such as war, the extinction of species and ecological destruction, climate change, and last but not least – the financial crisis. Moral destitution and collapse, a lack of respect for human dignity and worth, and deficits in proper moral functioning at all levels of the world community, often discounted or masked by transparent excuses and vacuous rationalizations, are all viewed as principal causes of the social, societal and ecological crises with which we are confronted today. The key to solving these crises must lie, at least partly, in a better understanding and active deployment of morality. Developmental psychology is charged with the specific task of illuminating the growth and evolution of moral functioning in human beings. This book was originally published as a special issue of the European Journal of Developmental Psychology. Daniel Brugman has been working as a Senior Researcher and Special Professor in ‘developmental aspects of interventions in youth care at Utrecht University, The Netherlands. His main interests focused on moral development and moral functioning in adolescence. Monika Keller is senior researcher at the Max Planck Institute for Human Development, and Honorary Professor at the Free University of Berlin, Germany. Her research focuses on the development of moral cognition and emotion in cultural context and on fairness in economic games and the education of socio-moral competence. Bryan Sokol is an Assistant Professor in the Department of Psychology at Saint Louis University, St. Louis, Missouri, USA. His research interests include the development of children's social understanding and socio-emotional competence, empathy and moral agency, and conceptions of selfhood.